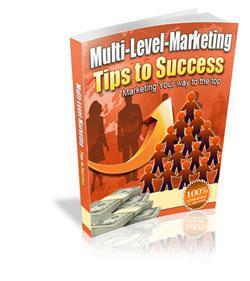 Multi-level Marketing, or MLM, is a marketing strategy which creates a down line of distributors and a hierarchy of multiple levels of compensation. The sales force is compensated not only for their own sales but also for the sales of the people they help recruit. Firms, having a large product base, often cannot employ equivalent sales force; and believe they would be better off without the traditional approach. Hence, they implement MLM to survive competition from multi-nationals. MLM is also known as Network Marketing because it utilizes a network of individual customers to hit other potential customers. In other words, every individual customer serves as a sales representative.